ZÜCA Tiger Insert & Frame. Crouching Tiger, Hidden Stuff. 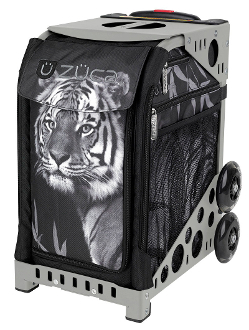 This cool Insert will transport all your essentials with powerful agility. It's like having a black belt in hauling things around. ZÜCA bags are great for kids in competitive sports like cheer, skating, gymnastics or dance. You can use them to haul all your gear and you can sit on them when seating is limited at competitions. Can also be used as weekender bags when you purchase the Pro Packing Pouches.